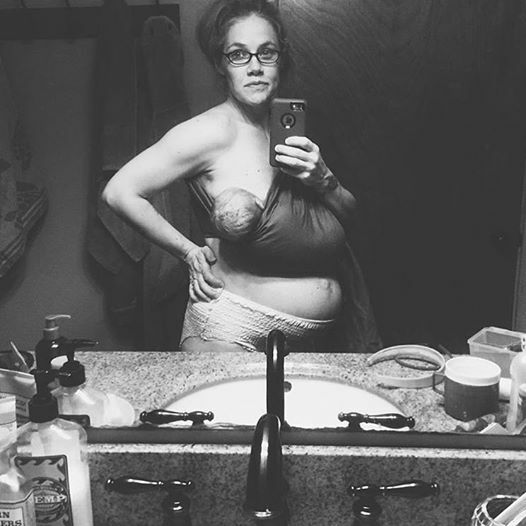 A mom’s photo of her post birth body has gone viral thanks to the raw understanding among women that (most1) women still look pregnant weeks and months after giving birth. It reminds me of Kate Middleton’s post birth photos that showed she, too, had a bump. One week after having my first child, I was at Target, alone (my daughter was still in the hospital) and I got the inevitable “When are you due?” question. I looked the same as I did 6 months pregnant. When I told the lady I was postpartum she looked at me horrified and sprinted away, not allowing me the chance to say “I know I still look pregnant, and it’s OK.” Truth is, most people don’t look like movie stars postpartum, or any other time. I knew someone who wore skinny jeans without a bump immediately after birth. If you want to run 6 miles a day while pregnant, that may work for you too.